Walt Mossberg and I could not be more thrilled to announce that Tim Cook, CEO of Apple, will be the opening-night speaker at our 10th D: All Things Digital conference. It will be Cook’s first appearance at D, as well as his first time being onstage at an event not run by Apple or for investors since he was named CEO last August. Since then, Cook has increased the enormous progress made under the late Apple CEO and co-founder Steve Jobs, with the iconic Silicon Valley giant putting out a number of new and innovative products and also becoming one of the most valuable companies on earth. So we are looking forward to hearing Cook’s perspective on where the industry and Apple is going, and perhaps to get a glimpse into what makes its new leader — who is also a longtime Apple vet — tick. And Cook knows a lot, to be sure. 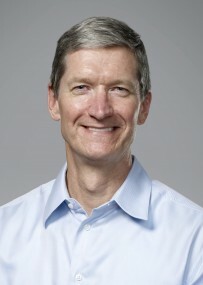 Before he was named CEO, Cook played a critical role as COO at Apple, responsible for worldwide sales and operations from its supply chain to sales activities to service and support globally. Cook also ran Apple’s Macintosh unit. Before Apple, he worked at Compaq, Intelligent Electronics, and even spent a dozen years at IBM. Cook joins a D10 speaker list that is full of major players in tech and media, including: New York City Mayor Mike Bloomberg, Oracle CEO Larry Ellison and Federal Trade Commission Chairman Jon Leibowitz, as well as many more.